Several organizations provide opportunities for Partners to access grants of small amounts of money to conduct projects on conservation of waterbirds and/or their habitats. These “Small Grants Funds” can be helpful to undertake an activity or create materials for Flyway Network Sites in a country, to cover the costs of developing a major project, or to serve as seed money that will attract co-funding. The East Asian – Australasian Flyway Partnership does not act as a provider of small funds but can assist Partners to contact existing Small Grants Funds. The following summaries and links should enable Partners to make their own inquiries. Please note that the time frames and other operational requirements vary between the Funds, typically as determined by particular national regulations. Also be aware that competition for grants may be strong and that waterbirds may be only one of the many subjects that the Fund addresses. Information on other Funds may be added to this site in the future. The Nagao Wetland Fund (NWF) is intended to support Contracting Parties in the Asia and Oceania regions on small-scale projects, with a maximum offer of USD 18,000 per project. The NWF is particularly interested in receiving applications for projects which aim to deepen scientific knowledge and/or raise the environmental awareness of the general public. The projects should be identified as a national priority by the Contracting Party in the implementation of the Convention’s Strategic Plan 2016-2024. The deadline for all submissions is 1 April 2017. 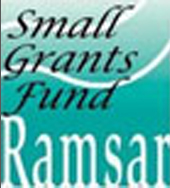 The Small Grants Fund for Wetland Conservation and Wise Use (SGF) was established by the Conference of the Contracting Parties in 1990, and it provides financial assistance for wetland conservation projects in the form of small grants (maximum Swiss francs 40,000 per project) for projects in developing countries and countries with economies in transition. The Asian Waterbird Conservation Fund was established to provide financial support to projects on the ground in Asia that will lead to the conservation or protection of migratory waterbirds and their wetland habitats in the East Asian – Australasian Flyway, particularly through partnership with the local community at the site. Each year WWF makes a single call for applications to the Fund with the deadline of 31 October. Elevate the importance of species in the broader conservation debate. The application deadline is 31 October 2016. Click here for further information. The Keidanren Nature Conservation Fund (KNCF) was authorized as a public trust by the Ministry of Environment Japan, and the Ministry of Foreign Affairs in April 2000. The Sumitomo Trust & Banking Co., Ltd. was selected as the Trustee of the Fund. After its establishment in April 2000, a lot of corporations (mainly Nippon Keidanren member corporations) and the general public have been contributing donations to the Fund on the approval of KNCF. The KNCF has supported projects every year with about the total amount of 150 million (JPY). The KNCF raises applicants for the Fund on its Web Page every fiscal year, and the Project Selection Committee has assumed the rigid responsibility of appraising and selecting supported projects among submitted applications. We are now faced with environmental problems that are occurring on a global scale: global warming, depletion of the ozone layer, and destruction of tropical rain forests. Regardless of whether we live in developed or developing countries, the economic activities that support our societies have not only caused an abuse of resources but have also made a large impact on the environment, the foundation for our livelihoods. Moreover these problems not only influence our local environment but also they cross national borders into neighboring countries and are connected to the destruction of the environment on a global scale. Environmental problems cannot be solved only by the power of one nation, one region, one company, nor one individual alone. To alleviate the global environmental crisis and to create a sustainable society, it becomes essential to collaborate internationally. 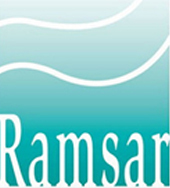 The RRC-EA wetland fund is a fund that is comparable with the Ramsar Small Grant Fund. The purpose of the RRC-EA WF is to provide funding to East-Southeast Asian Nations for the purpose of wetland conservation and wetland education programs. The grant is open to all applicants, but the project fund cannot exceed 12,000,000KRW. The grant is established with the purpose of assisting countries in the enhancement of conservation and protection of wetlands in the Asian Region. Project proposals need to be submitted by the deadline for consideration in the award process. A group of professional wetland experts and the RRC-EA staff evaluates the proposals. Successful proposals will exhibit sound knowledge of wetland processes, and management protocols as well as an innovative approach to the research being performed. The goal of the Future for Nature Foundation is to protect species of wild animals and plants. In pursuit of this goal, the Foundation has established the Future for Nature Award. The prize rewards and funds individuals for their internationally outstanding species protection efforts. The Future for Nature Awards is awarded annually during the Future for Nature Conference at Burgers’ Zoo in Arnhem, the Netherlands. A sponsor market for species protection will accompany the annual conference. The Save Our Species Rapid Action Grants support projects aimed at addressing immediate threats that require targeted specific action. The latest call for proposals for SOS Lemurs of Madagascar projects is now closed. IUCN's Save Our Species was accepting proposals from 9th April 2018 until midnight Central European Time (CET) on 3rd June 2018. The National Geographic Society supports projects throughout the world through its grant program. It currently offers three types of Grant Application - Early Career, Exploration, and Requests For Proposal. All proposed projects should be bold, innovative, and potentially transformative and have a primary focus in conservation, education, research, storytelling, or technology. The grant program do not usually consider applications that support strictly laboratory or collections work. Grants are awarded on the basis of merit and exist independent of the Society's other division. The deadline for the application 10 July 2018. The National Geographic Foundation for Science and Exploration – Asia supports scientists, conservationists and explorers throughout Asia through its regional, peer-reviewed grant program. While we accept applicants from around the world, we encourage residents from the following countries to apply: Brunei, Cambodia, Hong Kong, Indonesia, Japan, South Korea, Laos, Macau, Malaysia, Myanmar, Papua New Guinea, the Philippines, Singapore, Taiwan, Thailand, Timor Leste, and Vietnam to work anywhere in the world. National Geographic use one application form for all grant types and regions. Rolex Awards for Enterprise supports projects and extraordinary individuals who possess the capacity to improve our lives, protect the world’s natural and cultural heritage. Application for the 2018 Rolex Awards for Enterprise is now open to anyone over 18 years of age, of any natonality, who who are engaged in the areas of environment, applied science and technology, or exploration. Laureates receive a cash grant to advance their projects. In addition, Rolex ensures winners receive access to its network of more than 100 past Laureates, international publicity through media coverage and a Rolex chronometer. 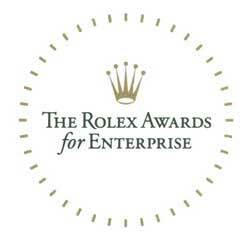 Applications to Rolex Awards for Enterprise are currently closed. The next Awards will be announced in 2019. The East Asian-Australasian Flyway Partnership is a network of partners within the East Asian-Australasian Flyway (EAAF). The East Asian- Australasian Flyway Partnership (EAAFP) aims to protect migratory waterbirds.